Talking about the Intex Muzyk B30 speaker, it is undoubtedly a great value for money that offers unmatched audio performance. 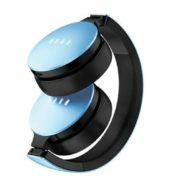 Bluetooth speakers of different shapes, sizes and form factors are rapidly earning popularity for their decent sound quality, portability and its compatibility with different gadgets like smartphones, laptops, tablets, smart TVs and what not. Budget Bluetooth speakers generally come with mono and stereo channels, and the ones with mono channels are easy to carry for their small size and low power consumption. 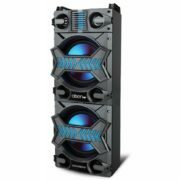 The stereo Bluetooth speaker has an upper hand and offers better sound quality and loudness, which is a big reason it is great for being a primary speaker to use with computers. They are both portable and can deliver louder sounds at the same time. 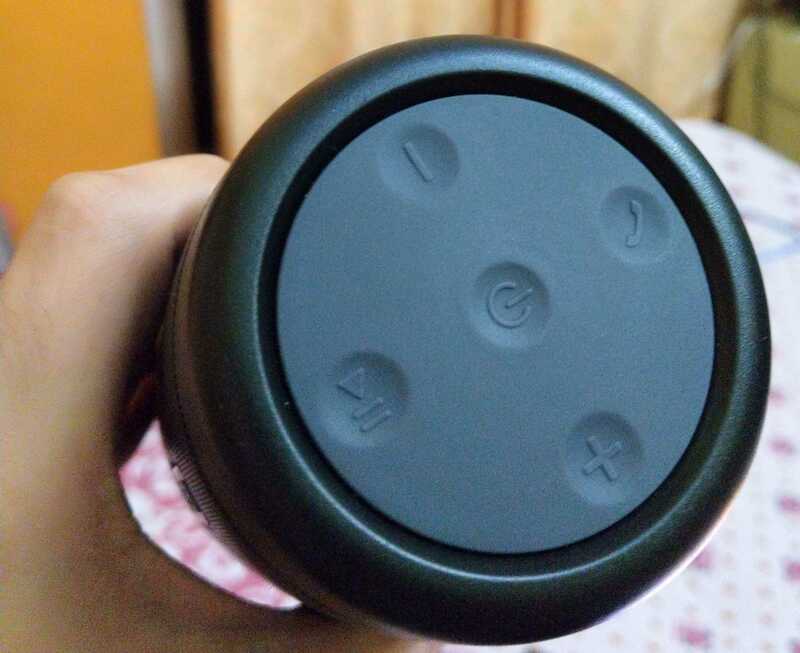 Recently I purchased an Intex Muzyk B30 Bluetooth speaker and is using it extensively for the last 10 days. I am quite satisfied with its overall performance and also the price to performance ratio. 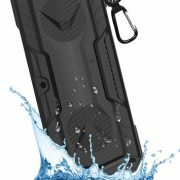 It comes with almost all the functions you will need from a Bluetooth speaker, and thus, there is hardly any reason to break the deal. I got this product from Flipkart at a massive discount, but even if you do not get any discount at present for the product, I will definitely recommend the product even at the listed price, as it will be worth every penny. So let’s get started with the Box contents, before moving on to the features, pros and cons, one by one. Talking about the physical dimensions of the Intex Muzyk B30 speaker, it has a width of 10 cm, a height of 24.2 cm and a depth of 10 cm. It weighs around 400 grams making it very easy to carry. The Intex Muzyk B30 stereo speakers have a 20 Watt RMS output and each speaker consumes 6 Watt output power. Support 3 input modes and has the ability to play FM radio by connecting the auxiliary cable in the 3.5 mm jack. You can play music on it by connecting your device to the speaker via Bluetooth, which goes without saying, or you can even connect the device using auxiliary cable or by connecting a USB device like a flash drive or so directly to the speaker. The speaker has 4000 mAh battery, which has the ability to deliver music playback for 4 hours with the maximum volume on a single charge, as per the company’s promise. 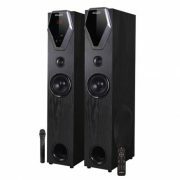 The speaker has a frequency response of 180 Hz to 16 KHz, and an impedance of 3 ohms. The speaker has support for auto-sleep to save battery when not used continuously. Great design and the size of the product make it easy to carry, even within a very short space of a travel bag. Has 5 multi-functional buttons to control volume, change tracks, change modes, and also for calling or music control. The speaker can be turned on or off by long pressing the power button available in the middle of the controlling pane. You will get a sound when the speaker is turned on or off. Turn on Bluetooth on your smartphone, tablet or computer and search for new Bluetooth devices. 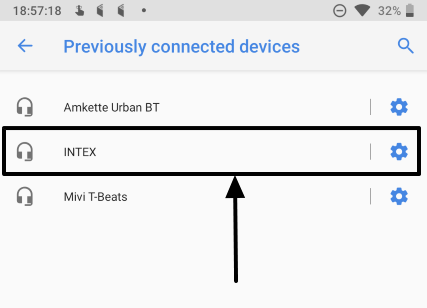 Connect to ‘INTEX’ that will be available in the search. Connect to it, and once it is connected, you will get a double beep on the speaker, signifying, the speaker is ready to play or stream music on your smartphone or any other connected device. Short-press the power button once to change the mode to FM radio. Make sure the auxiliary cable is connected to use the FM radio on the speaker. Short-press the power button again to change the mode and play music using the auxiliary 3.5 mm jack. Short-press on the power button again to change to USB playback mode, and short press again to go back to Bluetooth connection mode. Power button (long press) – Switch the speaker on or off. Power button (short press) – Change input or playback modes. Volume (+ & -) (long press) – Increase or decrease music volume respectively in all modes. Volume (+ & -) (short press) – Change to next or previous track respectively in USB and Bluetooth connection mode. / Change to the next or previous channel respectively in AM or FM connection mode. Play/pause – Play or pause music in Bluetooth and USB connection mode. Long press on it during the FM mode to search for the available channels automatically. Call button – Receive or end calls in Bluetooth and auxiliary connection mode. You can connect your flash drive containing music, to the speaker to play the music available. Just turn it on, and press the power button once after a few seconds. The music playback from the connected USB device will start immediately. Let’s now have a look at the pros of the Intex Muzyk B30 Bluetooth speaker. The Intex Muzyk B30 Bluetooth speaker is one of the best products for bass lovers. For the price it is offered at, the Intex Muzyk B30 speakers deliver very good bass, and you will not be disappointed if you love good bass. Talking about the highs, mids and lows, the Intex Muzyk B30 Bluetooth speaker has a wide frequency response, and you can listen to the vocals, almost all the musical instruments quite clearly on the speaker. The buttons have a very good tactile feedback, and thus, you can increase or decrease the music volume, control the music and do other activities at ease. USB playback on this Intex Muzyk B30 speaker is very easy as I already discussed above. This can be handy for a quick music playback if you are having a USB flash drive handy containing music. The Intex Muzyk B30 speaker has an LED indicator, which can show different modes and the speaker statuses by blinking, solid illumination or by other ways. This is really handy. The Intex Muzyk B30 speaker has an auto sleep mode, which makes it turn off automatically when music is not played on for 10 minutes in Bluetooth connection mode. It doesn’t matter whether any device is connected to it or not. This helps in conserving power, which is something most users will like. The Intex Muzyk B30 speaker is a stereo speaker, and thus, it is quite large in size. Even after being a little heavy and large is size, the speakers come with a brilliant design making it very easy to hold and keep it in the travel bag within a very small available space. The 4,000 mAh battery is enough to deliver a playback time of 5 hours with 70-80% or 4 hours with full volume. The 70-80% music volume is quite loud, and the sound is audible from a different room, or from one floor above or below the speaker. Thus, loudness and battery backup of this speaker is quite satisfying. Now let’s have a look at the cons of the product, which Intex could have done better at this price point. The speaker does not have a micro-SD card slot. Though not important for many, but the presence of a micro-SD card slot would have made this product a full-fledged one. The Bluetooth connection malfunction sometimes, which can be pretty frustrating, if you are enjoying your favorite tracks. It especially happens, when there is a Wi-Fi network nearby. The 3.5 mm auxiliary port started malfunctioning after some days of using, which I didn’t from Intex, at this price. This problem might also be only for the unit that I got in hand. The Intex Muzyk B30 speakers have support only for the FAT32 file format. The speaker doesn’t have support for NTFS or other proprietary file systems, which is a kind of small drawback, even though many users will not be disappointed with this. The speaker doesn’t have a LED battery level indicator. I wish that was present to keep an eye on the battery level all the time, without waiting for the low battery signal generated when the battery is heading towards its death. The speaker comes with a brilliant design as I already mentioned in the pros, but it is quite difficult to mount the speaker on a surface that has a slope. Though it can be mounted erect, that isn’t advisable for the safety of the speaker. One disappointing thing about the Intex Muzyk B30 speaker is its inability to connect two Bluetooth devices at the same time. Most speakers at this budget have this provision, and thus, this con can be a deal breaker for some users. The speaker has the ability to play the contents from different FM stations by connecting the auxiliary cable, but it doesn’t work like a charm. I failed to connect to FM stations every time I tried doing the same. Talking about the Intex Muzyk B30 speaker, it is undoubtedly a great value for money that offers unmatched audio performance. There are some cons, which are quite acceptable, and hardly any of the cons are deal-breakers. It can be the perfect pal for your trekking sessions or spice your stay up if you are in a hotel or some other place. Apart from that, the Intex Muzyk B30 speaker can also be the perfect alternative for your home sound system or for listening to sounds generated from your computer, laptop or any other gadget. No doubt, the loudness, the bass isn’t as good as a high fidelity subwoofer, but what can you expect from such a tiny speaker at this budget. Hope the review was helpful for you to take your decision of purchasing a Bluetooth speaker. Do you have anything else to say? Feel free to comment it down below.